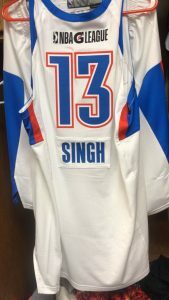 The 6ft 8 inch 25 year old forward Amjyot Singh Gill from Chandigarh has made the final roster of NBA G League team Oklahoma City Blue. OKC Blue is the official minor league affiliate of NBA team Oklahoma City Thunder. Amjyot has been India’s dominant all-round player at the Asian level and is represented by Indian talent management entity Pursuit India. OKC Blue opens its 2017-18 regular season on Friday, Nov. 3, at 7 p.m. (CT) in the Cox Convention Center versus the Rio Grande Valley Vipers. 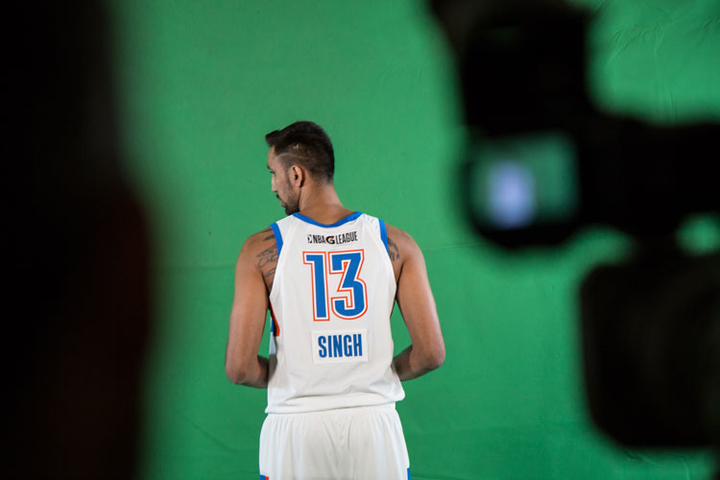 Bengaluru/Oklahoma City, 2 November, 2017: Versatile forward Amjyot Singh Gill has created history by making the final roster of NBA G League team Oklahoma City Blue. Amjyot has become the first Indian national to get drafted to the final roster directly from the G League Draft. The ‘G League’ is NBA’s minor league and a key stepping stone towards making a cut to the NBA, the most gruelling, competitive and popular professional basketball league in the world. Earlier on 21st October, Amjyot was one of the 4 players added in the 2017 G League Draft by OKC Blue, as the 103rd overall pick (25th pick in the fourth round). 146 players had been enlisted in the draft. Thereafter, Amjyot reported to team for a week-long camp at the end of which he was selected. OKC Blue opens its 2017-18 regular season on Friday, Nov. 3, at 7 p.m. in the Cox Convention Center versus the Rio Grande Valley Vipers. All 50 Blue games will be streamed live on the NBA G League’s Facebook page (facebook.com/nbagleague) with a full broadcast schedule to be announced on a later date. Now the sky is the limit for Amjyot, who can, down the road, be “Called-Up” to the parent NBA franchise anytime in the upcoming season on short 10-day contracts or for longer durations.Over the last four seasons around 15% of NBA D-League athletes (or an average of 39 players per season) have received a call-up to the NBA. Apart from being a stepping stone to the NBA, playing in the G-League in the long term also opens up opportunities in other elite leagues in Europe, Australia, South America or China. “All his hard work and perseverance has paid off. We will continue supporting Amjyot as he aims higher,” said Vishnu Ravi Shankar, Amjyot’s manager and Business Head at Pursuit India, the sports management entity that represents him.